All Morrisville homes currently listed for sale in Morrisville as of 04/21/2019 are shown below. You can change the search criteria at any time by pressing the 'Change Search' button below. If you have any questions or you would like more information about any Morrisville homes for sale or other Morrisville real estate, please contact us and one of our knowledgeable Morrisville REALTORS® would be pleased to assist you. "NEW CONSTRUCTION!! Impeccable attention to detail in this four bedroom, three and a half bathroom custom home with serene views of the Delaware River from the large second story balcony. 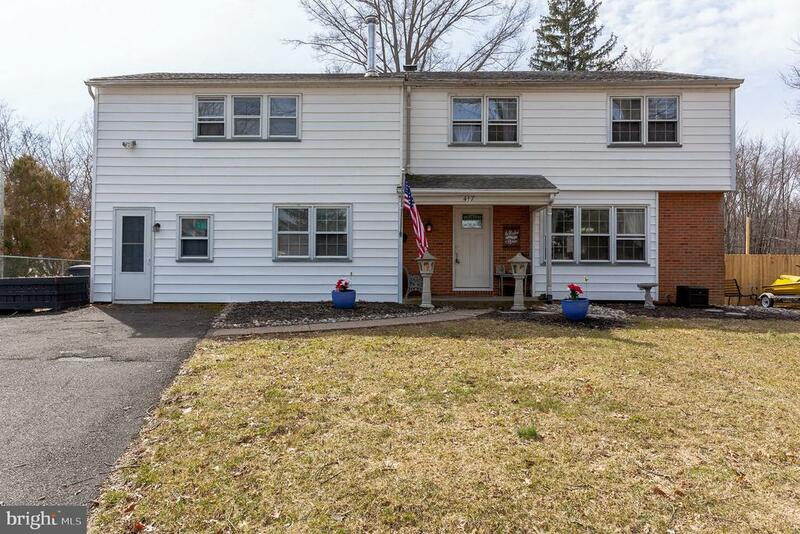 Situated on a charming street just a minute walk from the towpath that leads up to New Hope, you will find many reasons to stay active and enjoy quality living without compromising on quick access to major roads (I95,Rt.1,PA&NJTurnpike,I195). Upon entering, you will be greeted by an extra-large foyer flanked by two coat closets and a wide oak staircase featuring iron balusters. The main floor boasts 9ft ceilings, recessed lighting, open floor plan, a sun-drenched living room to the left and a family room that transitions beautifully into the large modern kitchen on the right. Gray cabinetry, top of the line Samsung appliances, gas cooking, full crown moulding, and over 80sqft of granite will delight the chef in you. Continuing to the back, you will find an in-law suite with a walk-in closet and full bathroom with floor to ceiling tile s for the glass enclosed shower. Rounding out the main level is a nicely appointed powder room and a back door leading to a detached two car garage. Making your way to the second floor, you will be greeted by a lovely loft area that has impressive views of the Delaware River through a large sliding door and a balcony that will be your own oasis after a long day. The over-sized master bedroom boasts yet another sliding door for direct access to the balcony and a bathroom with top of the line Kohler oil-rubbed bronze trim. The shower stall is something to envy with full mosaic floor and marble shelving. The walk-in closet has plenty of space for all your needs with a large shoe rack. The two other spacious bedrooms, each with walk in closets, and again stunning views of the river share a Jack-and-Jill bathroom with dual sink vanity and a private door to the toilet and tub area. 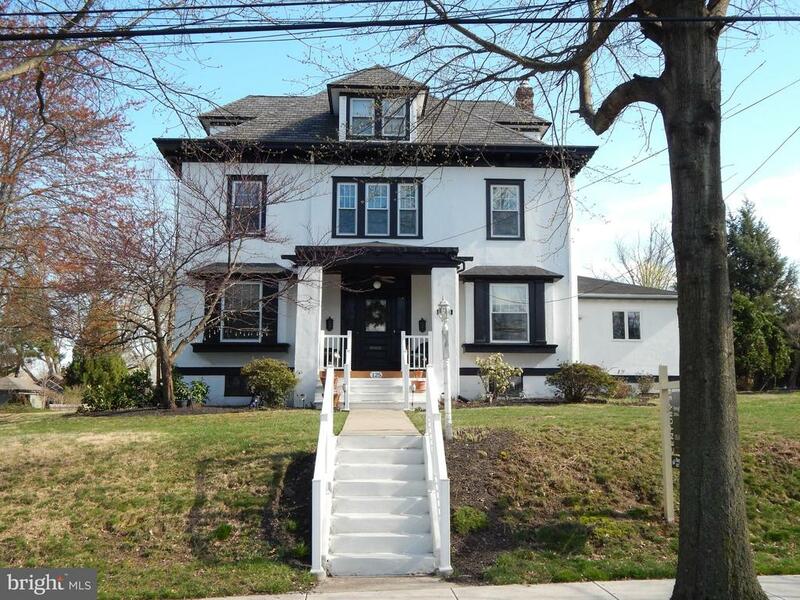 The over-sized basement with 9ft ceiling throughout features a 30 foot long c"
"Prepare to be impressed by this 5 Bedroom, 3.5 Bath elegant home in the prominent neighborhood of Yardley Estates. As soon as you pull up the long driveway, you will notice the impeccable landscaping. The foyer entrance is bright and open, showcasing the curved staircase and hardwood floors. Head into the formal dining room complete with a beautiful lighting fixture, oversized windows and chair rail throughout. The living room provides an extra area for entertaining or relaxing with a cup of coffee. The kitchen and family room area welcome you with an abundance of space and upgrades. Gorgeous cabinetry, granite counter tops, stainless steel appliances and stunning backsplash make up the gourmet kitchen which flows seamlessly into the breakfast nook. Enjoy meals with views to the lush rear yard through the sliding glass doors that take you to an awesome patio perfect for summertime gatherings and entertaining. The desirable open layout continues into the spacious family room, complete with built-in shelving, recessed lighting, and another entrance to the patio area. The level is complete with a convenient half bath. Head upstairs to find the substantial master bedroom, boasting its own sitting area, dressing table and walk in closet. The best part is the en suite master bath equipped with a separate whirlpool tub, gorgeous stall shower with glass doors and tiled floors. Three other generously sized bedrooms and another convenient full bath complete this level. As if all of this was not enough, the basement level of this incredible home is fully finished, with an additional bedroom, full bath and plenty of living and entertaining space. There is a separate exit to the rear yard where you will find an inground pool perfect for summer days. Stucco has been tested and is in great shape and all windows have been replaced. This home has everything you need and more, it is in an excellent community close to local shops, restaurants and public transit. Make y"
"The perfect family home awaits. The memories that will be made in this awesome home are too numerous to fully contemplate. From the moment you approach the front door you can feel the embrace of the lushly planted front yard set, peacefully insulating you from the road. Enter the home and feel the great energy and the tremendous flow between rooms that stimulates outstanding interactions. It's so easy to envision k:ds, friends and relatives bounding from the centrally placed and expansive, eat in kitchen to and from the massive rear yard - safely playing and engaging their imaginations among the trees, garden, or even the pool you may eventually install. Even with kitchen as the hub, the main level will also serve as ground zero from which will emerge holiday meals, homework, art projects and warm snow day fires on a regular basis. Each room has a purpose but is also multi-functional for the adaptability that families crave as they grow and evolve. The kitchen has been refreshed with custom painted cabinets, granite counters, all new stainless steel appliances. The lower level is the perfect family room for movie nights and game days with added convenience of having a full bath for those guests that stay over. The upper level offers the gorgeous four piece bath, a master bedroom and three full bedrooms each with refinished hardwood floors, great light and full closets. There is a full basement for tons of storage and an on-demand generator so you will never be without power, and a new 20 year roof. The location couldn't be better with its proximity to main street Yardley, New Hope, Philly, New York, Trenton and Princeton. You'll have everyday peace and quiet with the ability indulge all your cultural, shopping and entertainment cravings with very little commute times. Of course, you're at the doorstep to the natural beauty that has attracted people to Bucks County for generations especially the Delaware Canal State Park bike/running path & the Delaware River. For fa"
"This center-hall colonial built in 1905 offers the best of the old and the new! As soon as you step onto the porch you will be impressed by the original front door surrounded by stained-glass sidelights. Upon entering the foyer, you will welcomed by the gorgeous stone fireplace and a sitting area tucked underneath the winding staircase. To the left is a light-soaked formal living room, and to the right is a formal dining room with a built-in china cabinet and two window seats. A large modern kitchen was added to this home. It features all new stainless steel appliances, room for a large table and plenty of oak cabinetry and generous counter space. Sliding glass doors lead from the kitchen onto the deck for easy entertaining. There is a remodeled full bath and a laundry area located off the kitchen. As you climbs the steps to the 2nd floor, you will see a mural that was painted back in the 1940's by the owner's son who was an aspiring artist. On the 2nd floor is an inviting sitting area, flanked by 3 bedrooms. The master bedroom boasts a large walk-in closet and a beautiful, large remodeled master bath with a separate water closet. On the 3rd floor are two other bedrooms, one with custom built-in drawers. Both rooms have knee-wall storage areas. This home sits on a level .47 acre lot with a detached one-car garage and parking for several vehicles. The drive and the garage are accessible from the rear alley way. There is a full basement where the oil burner, oil tank and hot water heater are located. 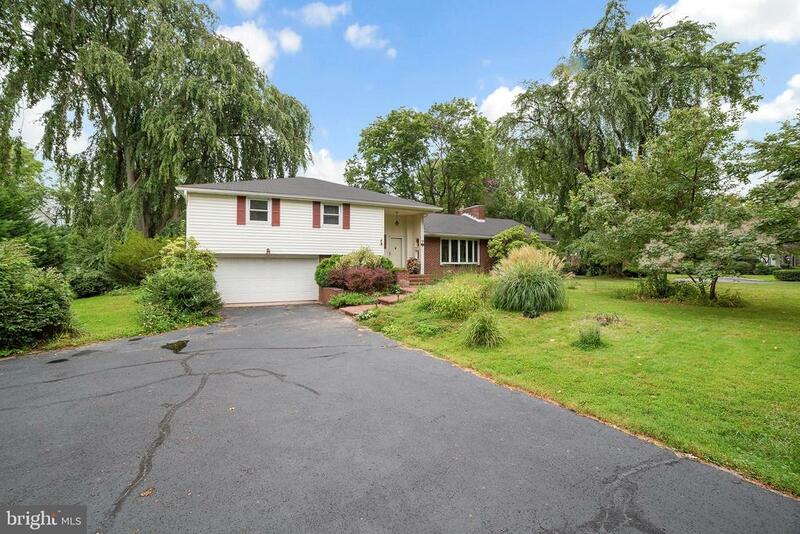 This home is ideally located to Route 1, I-95, I-295 and both the PA and NJ Turnpikes. It is also within minutes of the Yardley, Trenton and Hamilton Train Stations. And the Mercer County Airport is only 15 minutes away. A house like this home does not come on the market very often." "The Fairview. 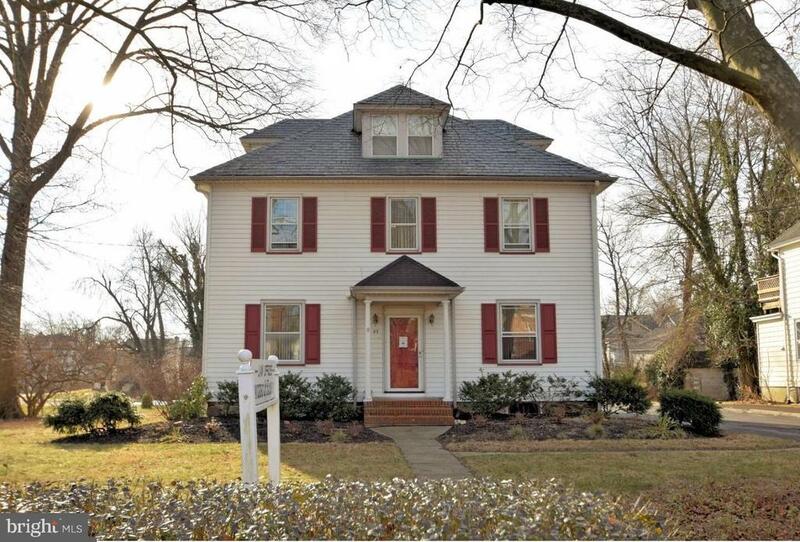 Located In Morris Heights Older Residence In Established Neighborhood With Mature Landscapinging, This stately colonial is a fusion of original details and all renovated amenities. The Large mahogany porch welcomes you in. Three Story Home With Playroom On Third Floor 4 Bedrooms And Three Baths. Large eat in kitchen with island, all granite, , opens to beautiful dining room, with second staircase leading to the 4 bedrooms and walk up to bonus room, your own for a library or office. Splendid master suite with en suite walk in closet and gorgeous bathroom that has a large claw foot soaking tub, his and hers vanities and a stand alone shower. A great laundry room is off the kitchen, with built in bench and utility sink, that leads out to large rear deck that overlooks a yard that is absolutely picturesque. The in ground pool is surrounded by beautiful gardens, well landscaped and hardscaped. ThA two car detached garage completes the exterior of this unique home. . Sprinkler system, additional one and half bathrooms, and sunroom. New windows throughout and partially finished basement.Easy commute to Princeton, Trenton, HW 95, trains to NYC and Philadelphia." "Welcome Home to this rarely offered Lovely four bedroom, 2 1/2 bath, two car garage with gas heat and back up generator.Central Air Just Installed. 3/2019.Entry Foyer has a coat closet and an updated powder room. The large living room with triple window leads to the formal dining room with chandelier and chair rail. The updated kitchen has beautiful cabinets and Corian countertops. Enjoy your meals overlooking the family room with brick fireplace and mantel. The enclosed porch is a three season room to enjoy in Spring, Summer and Fall. There is a convenient laundry room next to the kitchen. The Upper Level has an updated bathroom. Three bedrooms have wall to wall carpeting. The Master bedroom has a closet and private bath with tub. Close to schools, shopping and major highways for easy commute to New Jersey, Philadelphia and New York. 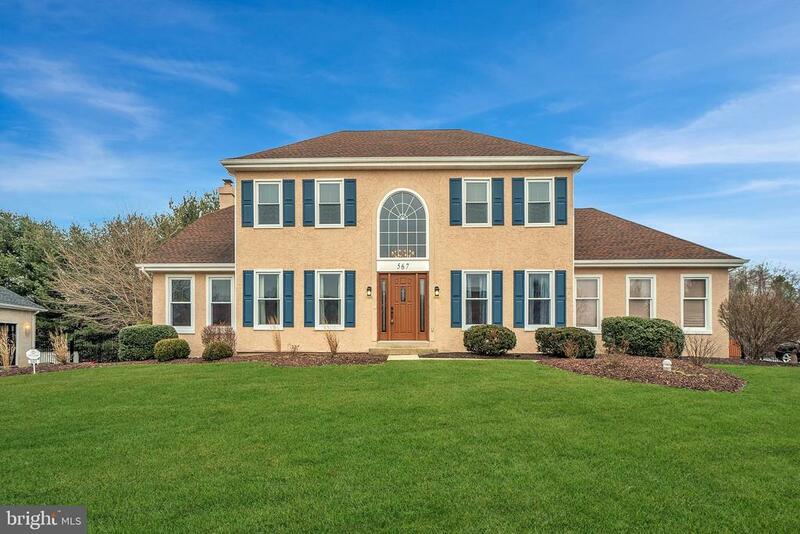 Great home in the Pennsbury School District." "WOW! $15,000 price reduction. Get here now before it's too late! 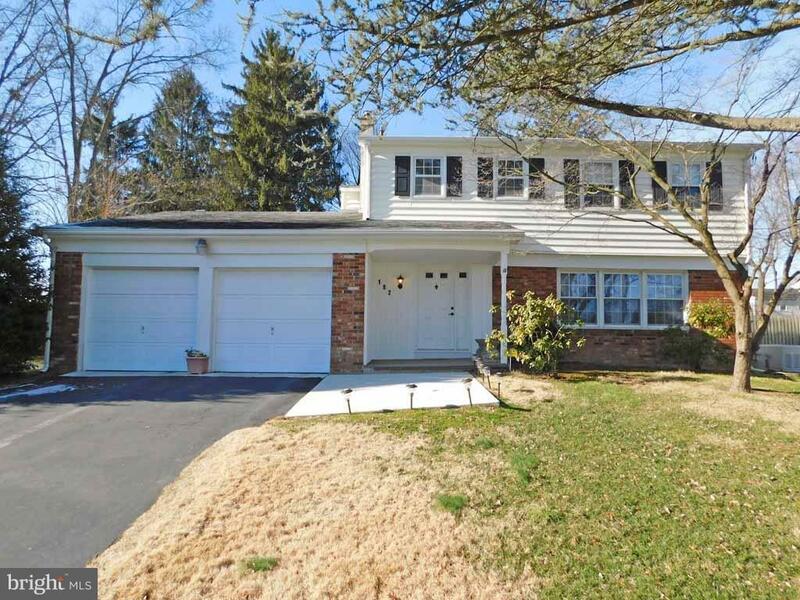 Expanded home in Pennsbury Schools with potential for in-law suite. 1st floor bedroom with exterior door and access to living area and half bath. Could be a nice set up for the in-laws. The remodeled kitchen is definitely the focal point of this lovely home with large island featuring gas range, recessed lighting, stainless steel appliances, wood accents, built-in stove and microwave. This home is definitely great for extended family living or just simply a family that needs plenty of space. You'll notice the super-wide driveway when you arrive that can handle multiple cars with ease. One the first floor you have a sun-drenched living room, dining room, large kitchen, powder room, family room (non-functioning fireplace) and bedroom. Huge partially finished basement just waiting to be completely finished for additional space if needed. 2nd floor features 4 bedrooms and a full bath with an upstairs bonus room as well. This room has so many possibilities to a large master suite, 2nd floor family/teen room, game room, play room, workout room, etc. Off the back of the house we have a screened in porch over looking the nice level back yard that's partially fenced in and features a concrete patio, dog pen, and plenty of privacy. A few cosmetics needed here and there and you have a home you will most likely never grow out of. Close to major roads, shopping and entertainment. You don't want to miss this one!" 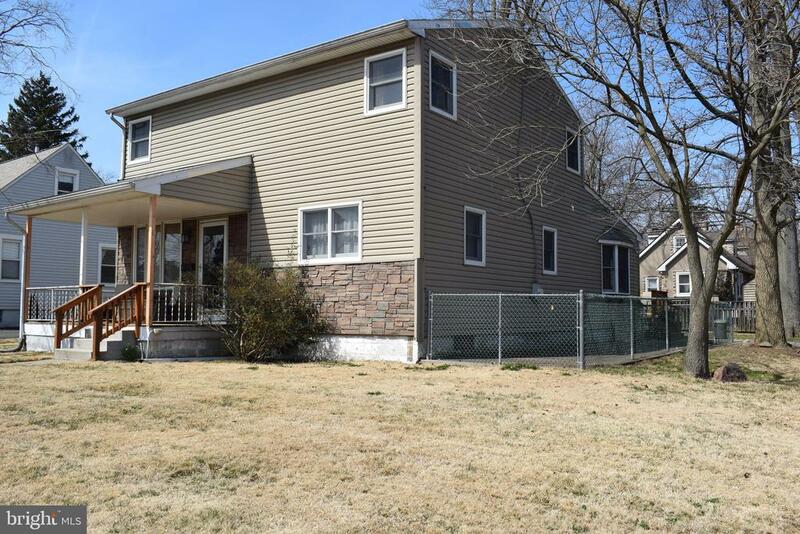 "This has home has been completely remodeled. As soon as you walk through the door you will notice the hardwood floors, crown molding and open concept design. No expense was spared in the tastefully designed kitchen with SS appliances, under cabinet lighting, granite countertops, new shaker cabinets, and large island. All the bathrooms have been fully remodeled. The master bedroom includes a walk in closet and a full bath. Also includes updated vinyl windows. 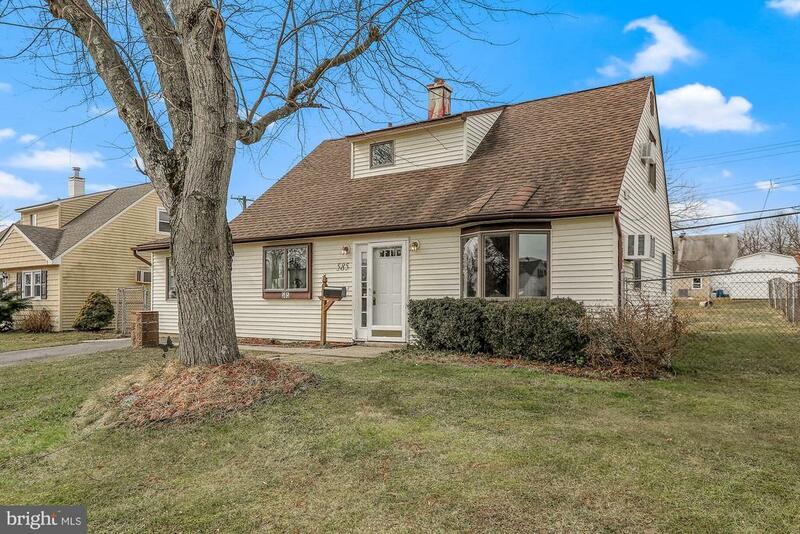 This home offers so much storage which include a full basement and a walk up attic." "Neo-Classical 1930's wood frame, slate roofed, 3,335 Sq Ft 4 to 6 bedroom home. Currently in use as 2 unit Law office first floor, and a 2nd floor Office/Apt. Both rented currently on month to month basis. The property also has detached 2 car garage. 2 separate central AC systems." "This is NOT a drive by...you have to see the inside to appreciate all of the space that this home has to offer! Welcome home to 400 Osborne Avenue. Located on a large corner lot and with plenty of room for everyone! Up the front walk to the covered front porch you'll enter your new home to the inviting living room, down the hall are two generous bedrooms, and a full bathroom with linen closet. Through the living room there is an area, currently used as an office that could be used as your dining room, moving on you'll find a HUGE room with new wood look lament flooring - this space would make a wonderful family room/den, and then you enter your big eat in kitchen with plenty of cabinets and counter space the kitchen has new wood look lament flooring, a bow window and a door to the backyard deck. Head upstairs and you'll be pleasently suprised by the 3 additional spacious bedrooms, full bathroom and a library/office or use it as a 6th bedroom! There are pull down steps to the attic and a hallway linen closet. With central air & above ground oil tank this home is move in ready !" 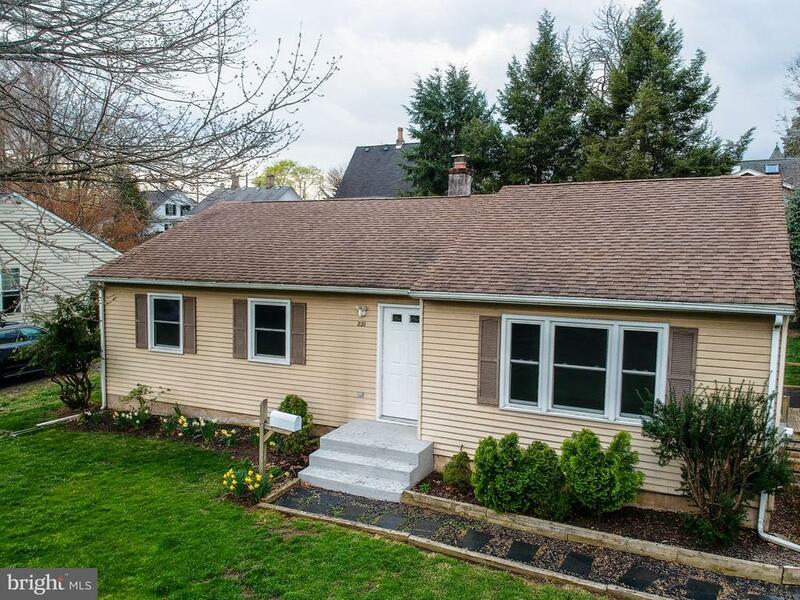 "Beautifully remodeled home in Morrisville Boro. Open floor plan. 4 nicely sized bedrooms Recessed lighting throughout L/R D/R & Kitchen that are LED, Multicolor optional. Ultra HD Cameras outside with 2 terabyte hardrive. 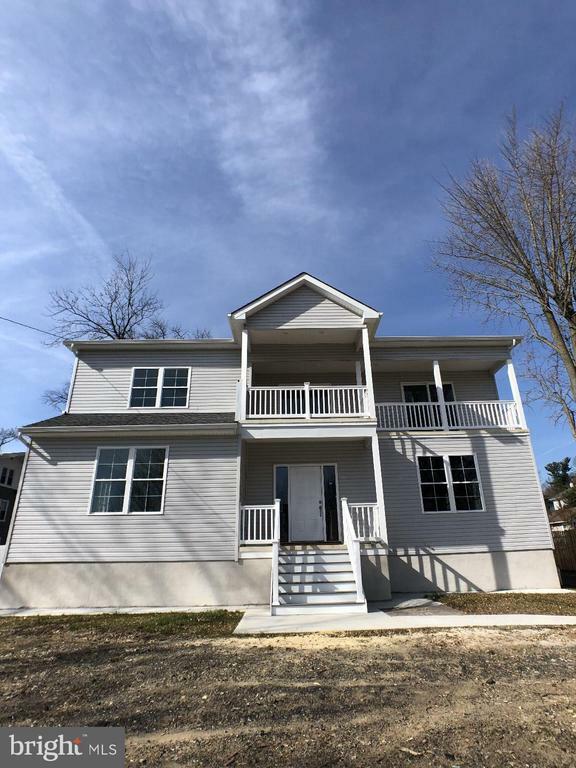 This entire house is Brand New Inside and Outside: New Roof with ice shield and 50 yr warranty on shingles, 10 yr warranty on installation, Gas Heater ,200 AMP Electric, Tankless Water Heater, Central Air, Windows, Flooring, New Kitchen and Appliances, New Bathroom, New Siding. New Driveway. Attic with blown in insulation Beautiful home.Big Front Yard and Huge Oversized back yard. Nice quiet well kept residential neighborhood in Morrisville"
"***REDUCED***INCREDIBLE OPPORTUNITY. Pride in Ownership. 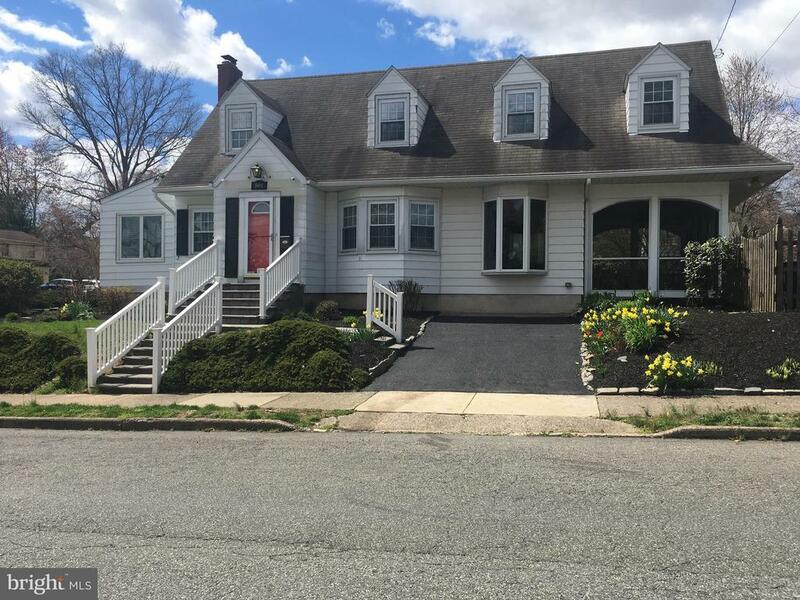 Beautifully Maintained rarely found 4 Bedroom 2 Full Bath Colonial home with Large Lot, Privacy Fencing, No Homes in Rear of Yard, Full Walk Out Basement, 1 Car Garage locatedon a Beautiful Street in the Uptown Borough of Morrisville. Vinyl Siding, Replacement Windows, 4 year Gas Heater, 5 year Gas Hot Water heater. Low Taxes. Your first step through the front door will make you feel like you are home. First Floor presents a spacious flowing Open Floor Plan, Beautiful Refinished Wood Floors, High Ceilings, neutral walls, tasteful lighting and ceiling fan fixtures. Spacious Living Room with long windows lets the natural light shine in open to a Large Formal Dinning room with plenty of space for entertaining. Formal dinning room is open to a Beautiful Custom Designed Kitchen that is picture perfect. Bright cabinets with soft close hinges and Granite Counter Tops and Stainless Steel Appliances. Amazing Center Island offers convenience and additional preparation space with Built In Under the Counter Dishwasher. Inviting and relaxing remodeled first floor Full Bathroom with Pedestal Sink, neutral Ceramic Tile Tub and Flooring. Awaiting your arrival to the second floor of this Beautiful home is a Grand Staircase with Unique Leaded Stained Glass Window, 4 spacious size Bedrooms and a Beautifully Remodeled Full Bathroom, Claw Foot Tub, Ceramic Tile Floor. Additional Amenities to this home are the Cozy Front Porch for relaxing on those cool summer days, Large Vinyl Privacy Fenced Rear Yard with no homes in rear, shared driveway leading to a 1 Car Detached Garage with Electric. Large Full Basement with side door entrance from driveway leads into kitchen of home providing convenience of easy in and out and carrying groceries and personal items from car to house. Conveniently located and within walking distance to schools, shopping, library, public transportation, mass transit and restaurants. 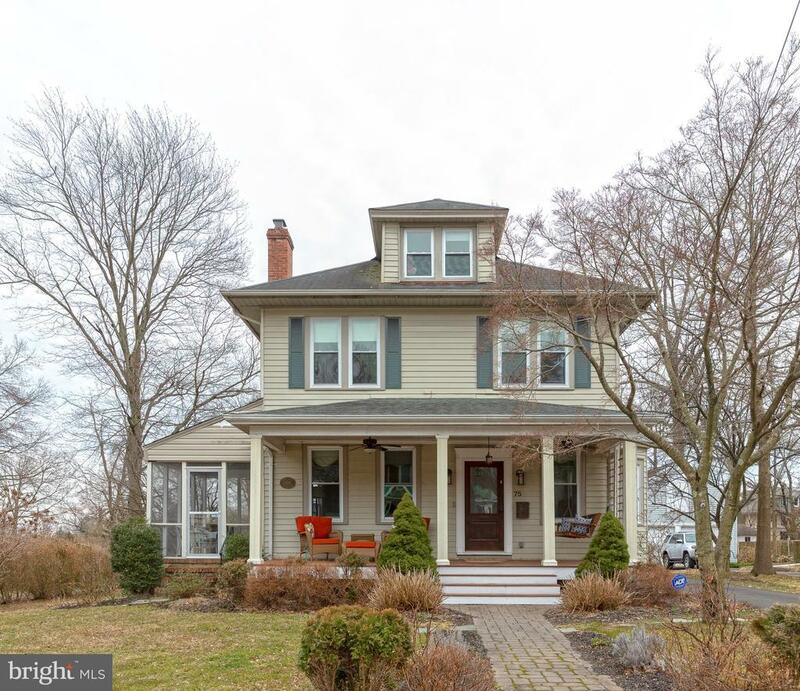 Walking distance to W"
"The charm of yesterday meets the efficiency of today in this impressive home, tucked away on a quiet street in Morrisville Borough. Gleaming hardwood floors greet you as you enter the foyer and living room. A real wood-burning fireplace with decorative mantle brings charm and warmth to this beautiful gathering space. Adjacent is the formal dining room, also bathed in sunlight and a convenient powder room. The sunny family room offers additional living space for gatherings or as a playroom/office. Rounding out the main level are a breakfast area and modern kitchen; a calming retreat for the home chef. Light maple cabinets, some have frosted glass inserts, with modern stainless pull bars, provide plenty of storage space and sport a stylish look. Complete with stainless steel appliances, a garden window, quartz counters and modern faux-wood flooring, this kitchen has every modern day convenience.~Access the backyard via a doorway near the kitchen or through the screened in porch, delightful for morning coffee and catching up on the news or a good book.~Upstairs are 3 bedrooms, the master bedroom is extra large with a private bath, awesome closet space, and a seating area. Two full bathrooms help everybody get ready for the day in their own space. The fenced-in deep yard has a storage shed, mature shrubs for privacy and a hardscaping accent that can showcase all of your blooms. New 2 Car Driveway! See this beautiful home today!" 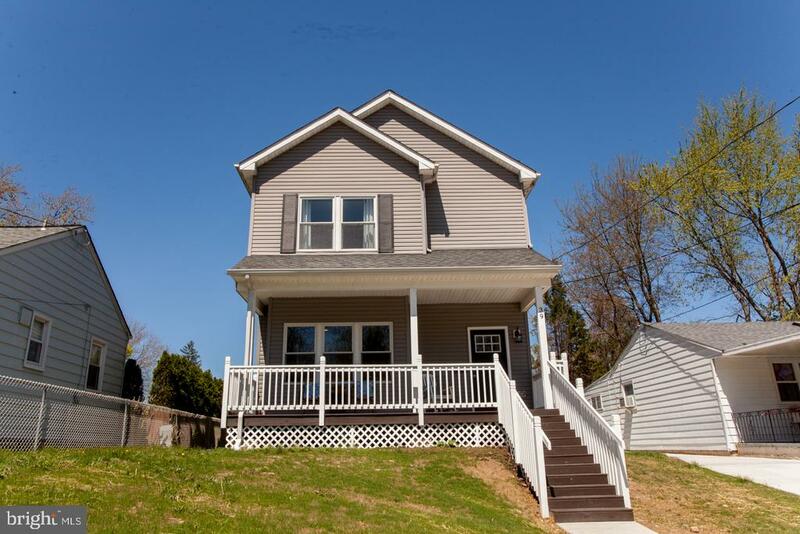 "Come home to 325 Glenside, located in the Highland park Neighborhood of Morrisville Boro. Highland park is known for the unique architecture presented in each home and the timeless beauty of the specimen trees and flora plantings that wrap this neighborhood. Pull curbside and you will be thrilled on the corner lot, and endless possibilities to be created for outdoor living. Walk inside and you will love the hardwood floors throughout, the high ceilings, the open floor plan, the charming screened in front porch, large dining room and a fabulous eat in kitchen. Upstairs you will find a master suite, with ample closets, 2 additional large bedrooms and an updated hall bathroom. The lower level is the entire footprint of the home, and it awaits the buyer's special touch to create added living space. The oversized garage provides storage and fits a medium size car. 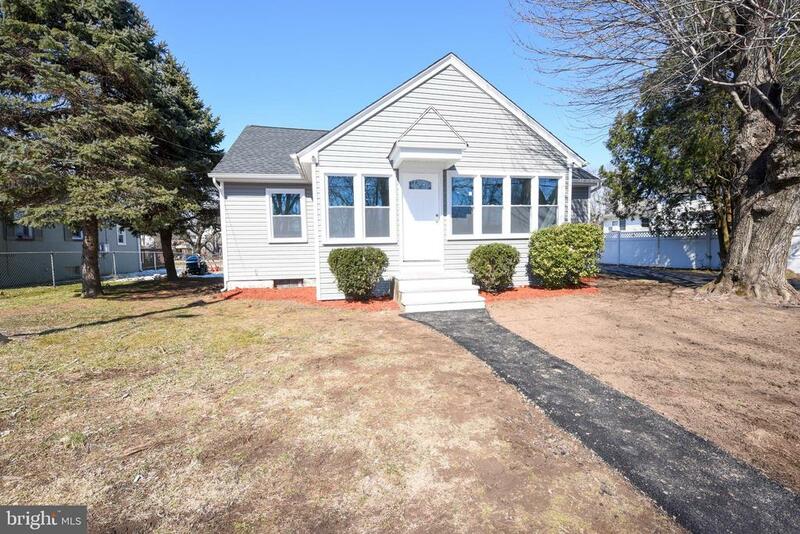 Worth Noting to this home ae several key updates that will delight the new homeowner- 2019- 25 year asphalt shingled roof and gutters, 2018 new HVAC system, new windows and doors, basement has a drainage system with a sump pump and freshly painted throughout. 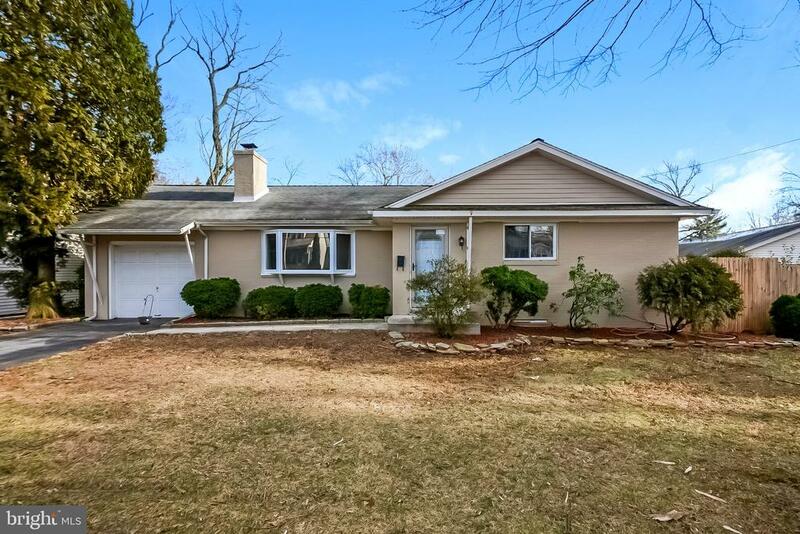 Minutes to all the shopping and restaurant areas Morrisville and Yardley have to offer. A very quick commute to the rail lines and major highways. 325 Glenside Ave is a place you will be proud to call home. The lights are on, we will see you soon!" "Welcome Home to 426 Jefferson Avenue! 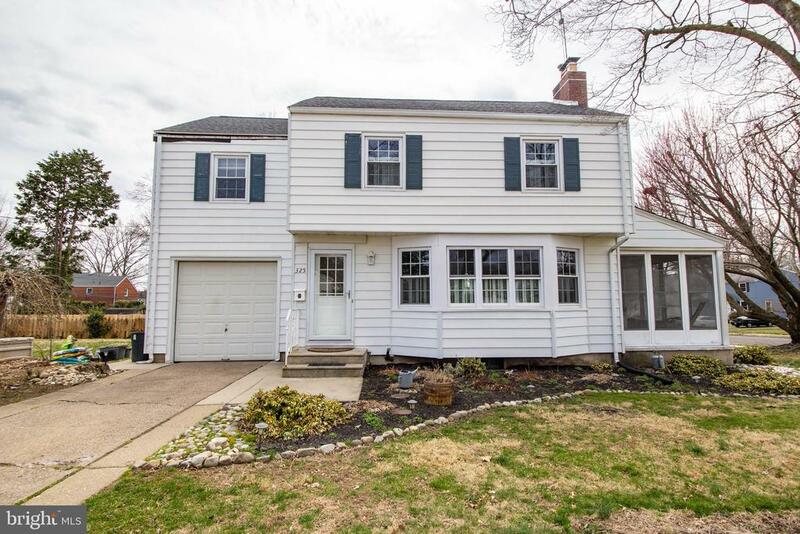 This charming 3 bedroom 1 bath colonial is located in the highly desirable Highland Park section of Morrisville Borough. 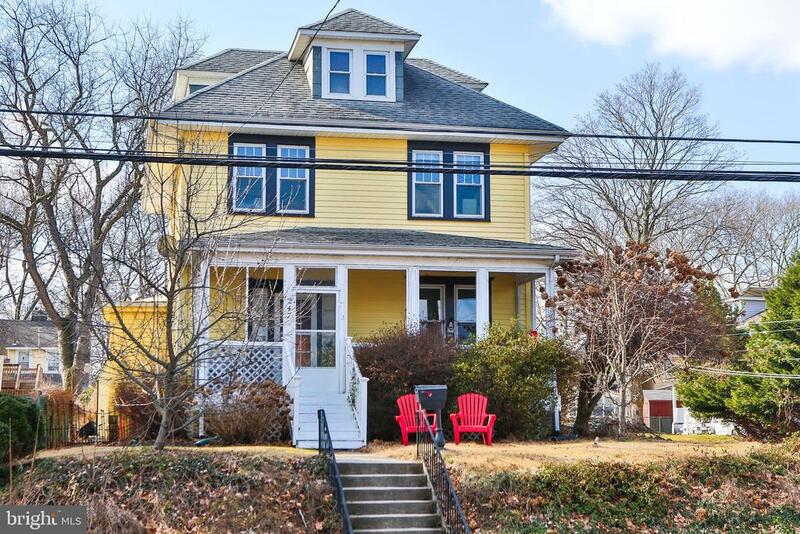 As soon as you pull up out front you'll see the charm that this sweet gem has to offer. Enter to the living room with fireplace and hardwood floors, the dining room has a corner built in and hardwood floors, chair rail and crown molding. The kitchen has a pantry closet, wood cabinets, a door that leads to your screened in patio and deck - overlooking your backyard, off of the kithen is also your doorway to your finished basement- perfect as a game room or den, or office. Head upstairs to 3 generous bedrooms, full, updated, bathroom, and linen closet, as well as pull down steps to the attic. The home also has a 1 car garage. Be sure to visit 426 Jefferson Avenue, you'll be glad you did!" 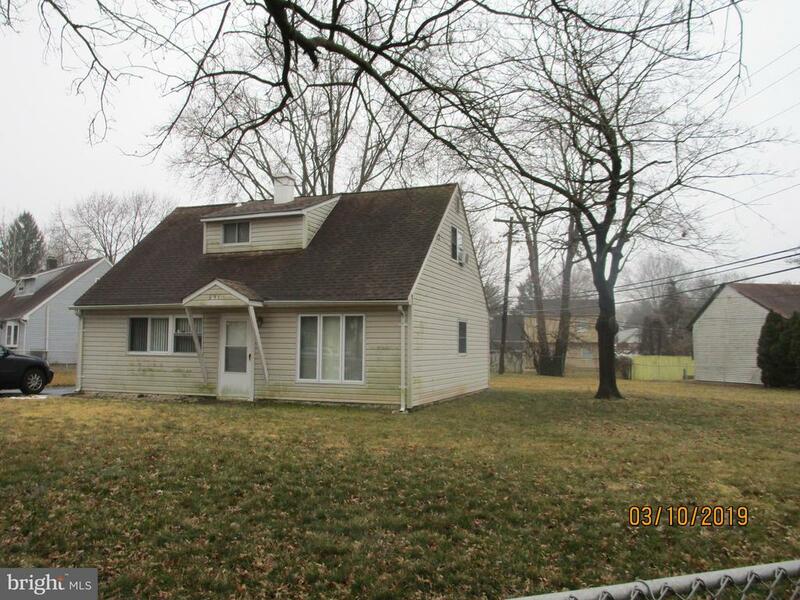 "Welcome to this charming 4 bedroom, 1.5 bath house that is ready to be called home! Beautiful hardwood floors and amazing natural lighting is throughout the home. On the main level you~ll find a dining room with large windows and wainscoting with a chair rail that leads into the living room. The large living room has beautiful French doors that flow onto the deck which is great for entertaining! In the spacious kitchen there are brick accents with a gas stove, commercial size stand-alone upright refrigerator/freezer, plenty of cabinet space, and access to the back deck and private yard. 4 generous sized bedrooms with plenty of closet space and a full bath with a stunning tiled shower complete the upstairs. On the third floor you will find a finished attic with possibility of game room/office. This property also features bonus storage space in the shed as well as the unfinished basement! Lots of off street parking and conveniently located to library, shopping and trains to New York, Princeton and Philadelphia. Call and make your appointment today!" 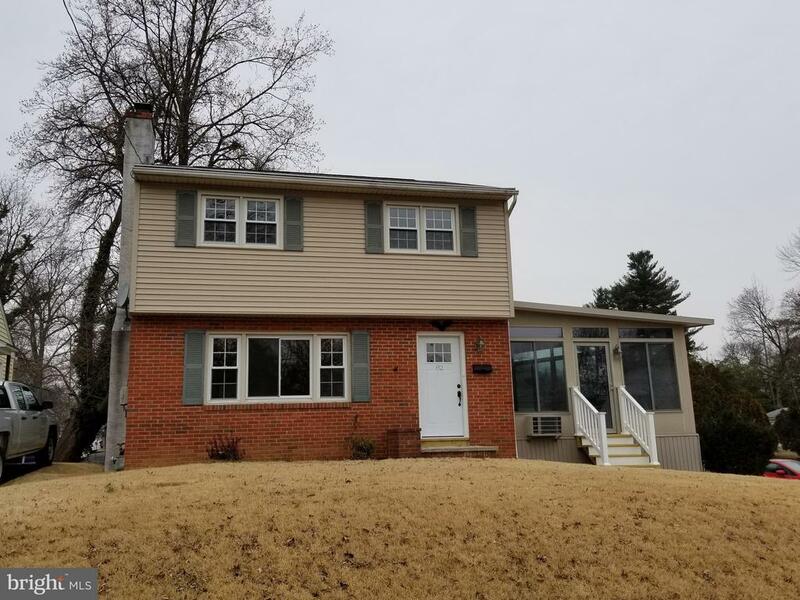 "This Spacious, Ranch style home with two Fireplaces, Hardwood Floors throughout, a Finished Basement and many other amenities is now available in the Borough of Morrisville. This 3 Bedroom and 1.5 bath home offers plenty of living space on the Main Level where you will find a large Living Room, Dining Room, Kitchen, Powder Room and huge All Seasons Room with Wood Burning Stove. Arriving at the property and as you traverse the front walkway, be sure to take note of the properties front entrance, well maintained landscaping, one car garage and ample driveway parking. Upon entering the foyer, you will be greeted by a warm & inviting Living Room with gleaming Hardwood floors, a large oversized bay window that provides for plenty of natural light and a beautiful wood burning stone fireplace with mantle. From the Living Room, the floor plan flows to a casual Dining Room, spacious enough to entertain a large group of guests & intimate enough to host a quiet dinner. Continuing from the Dining Room to your left you will find the Kitchen, with recessed lighting, newer appliances, laminate flooring, and new wood cabinets with quiet close drawers. There is also plenty of space for a small table and chairs for early morning/all day dining. Continuing on from either the Kitchen or Dining room, you will find access to a huge All Seasons Room with wall to wall carpeting, a wood burning stove and large windows which overlook the fenced backyard. There are also sliding doors that allow access to a deck that is perfect for after work relaxation, grilling your favorite foods or entertaining quests. Back inside and off to the right side of the Dining Room and proceeding down the hallway you will find the roomy Master Bedroom with ceiling fan and multiple closets. Further down the hallway are two other nicely sized Bedrooms and a tiled full bath. A powder room for your guests completes the living space on the main level. The lower level of this home features a humongous finished basement"
"Move in ready, 4 bedroom 2 bath single home in Grandview Estates. Home has been updated with upated kitchen, freshly painted, new carpet. Home is approximately 2400 sq feet." 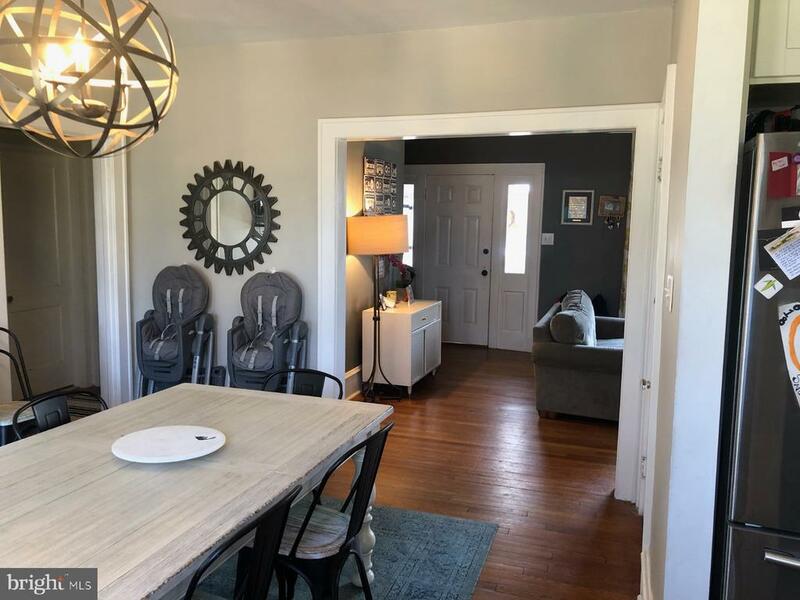 "This beautifully renovated 3 bedroom colonial is conveniently located within walking distance of shopping, public transit and the Delaware Canal Towpath and is just a minutes from major routes, offering a quick commute to both Philadelphia and New Jersey. 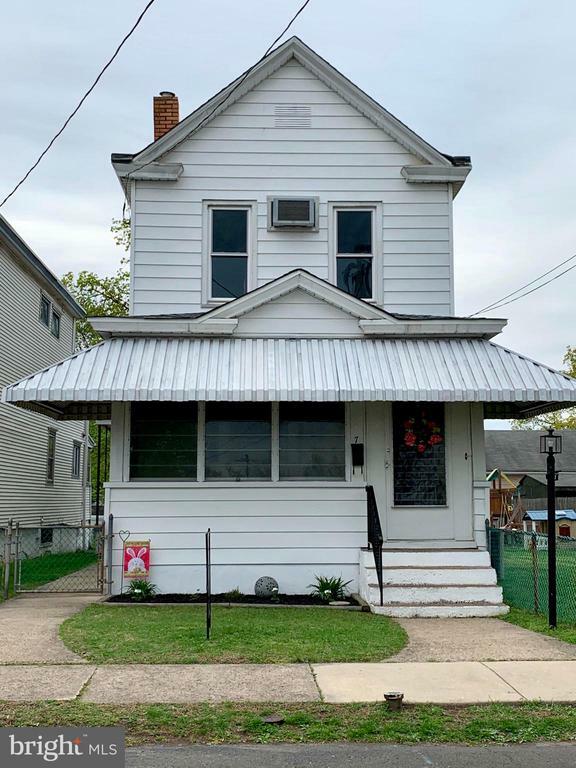 The interior of the home has been completely renovated and features hardwood floors, six panel doors and fresh paint throughout that invite you to move right in. A large living room accented by a marble fireplace waits to receive your guests, while the formal dining room and new eat-in kitchen make an ideal entertaining space. Among its many upgrades, the kitchen boasts gorgeous granite countertops, stainless steel appliances, tile floors, clean white cabinetry and access to the expansive sunroom via a stylish French door. The first floor is also home to a bonus room ideal for a den or home office and a powder room with new vanity, fixtures and tile floors. The second floor continues the same fresh design sensibility and features 3 nicely sized bedrooms and a remodeled hall bath with tile floor, brand new vanity and all new fixtures. There are also pull-down stairs that lead to the floored attic for additional storage, a large deck ideal for outdoor entertaining and a finished basement that features additional living space that could be used as a family room or play room among other uses you desire as well as even more storage and a laundry area." "If first floor living is what you care looking for, check out this home. You will live worry free with new central air and heating units just installed. There is also brand new carpeting that was installed through out the home. Kitchen features a gas stove and a plenty of room for large gatherings. There is a full partially finished basement with washer and dryer." "This beautiful bungalow has had some amazing upgrades, but hasn't lost its charm. Kitchen has totally been renovated, and opened up to maximize layout. The bedroom upstairs has been updated, and is decorated in a modern style. It can be used as the main bedroom, or a guest room, or anything in between! There are 2 more bedrooms on the main floor, so main floor living is totally possible. The basement has had a French drain system installed, and a new oil tank. Even the upgrades are down there! There is a large deck off the dining room, to help enjoy the outside space, a large back yard for hours of enjoyment. Home is located on a quiet street, and is perfect for commuting to NYC, NJ, and Philadelphia. Truly a must see!~"
"Spacious, updated 3 bedroom 1 bath single in great location! Large backyard!!! Gas heating and central AC!Low taxes and priced right ! Come see it today!" 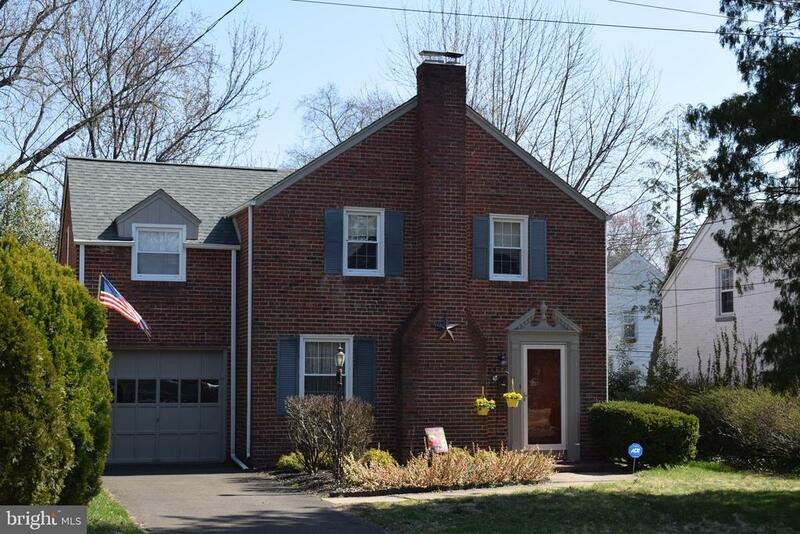 "Lovely Cape Cod style home in Washington Heights section in Morrisville Boro. Enter into the enclosed front porch (heated)to the Living Room, lovely bright Kitchen, 2 Bedrooms and a full updated Bath. Upstairs has 2 additional BR's. The home has hardwood floors throughout. There is a large fenced side yard and a detached garage with parking for 2 additional cars. Siding and Roof replaced within the last 10 years. Oil heat and central air."